The original San Antonio Public Library building, which backs up to the Riverwalk at 210 Market Street, served as the main library from 1930 to 1968, and was from 1968 to 2005 the home of the Hertzberg Circus Museum. 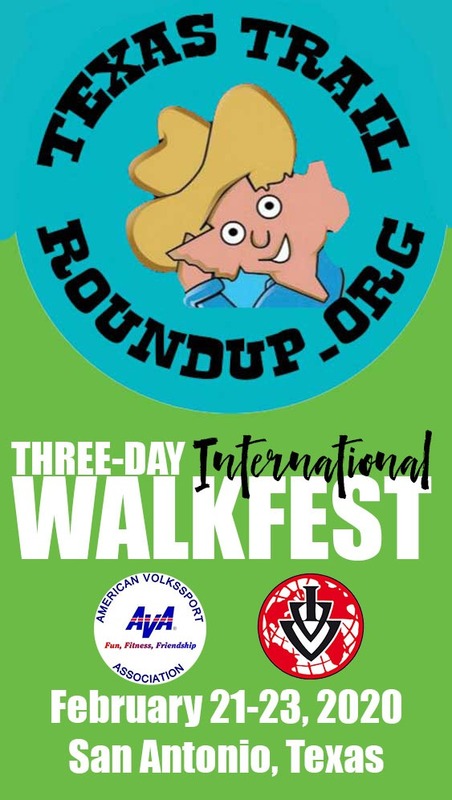 (The Herzberg Circus Collection, more than 42,000 items, is now housed at the Witte Museum, on Broadway at the edge of Brackenridge Park. You’ll pass it on the 23K Sunday walk. It’s one of the finest circus collections in the world.) 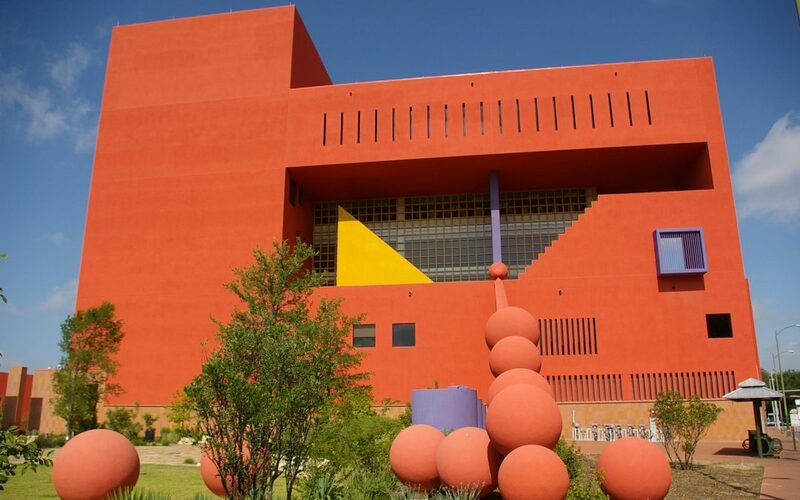 The library building is now the Dolph and Janie Briscoe Western Art Museum: well worth a visit. Admission is $10, but you can walk through The McNutt Sculpture Garden, the Briscoe Museum’s lush public outdoor space, for free. 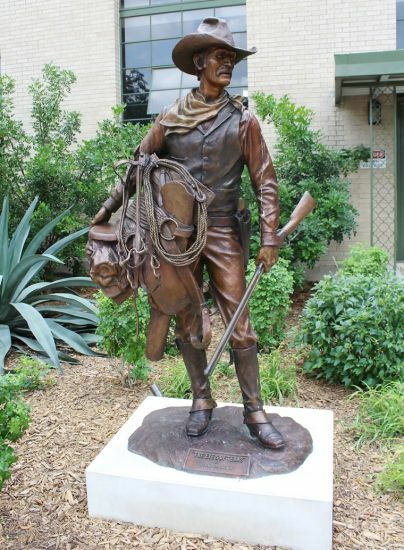 It features a beautiful courtyard surrounded by bronze sculptures depicting iconic figures of the American West by the country’s leading Western artists. Pictured below is Bill Nebeker’s “The Eyes of Texas,” installed in 2015. If you have the opportunity, walk into the “new library, which is at 600 Soledad. 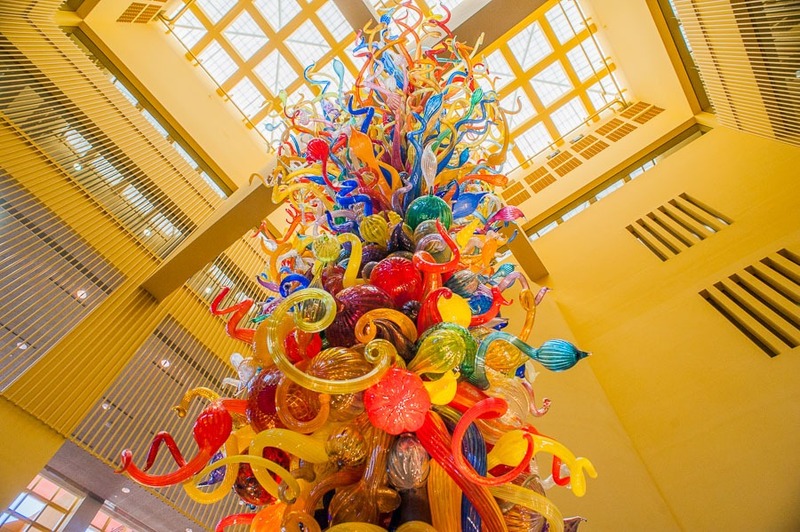 Internationally known glass artist Dale Chihuly was commissioned by the Library Foundation to design and install the 20’ 8” Fiesta Tower sculpture for the Central Library Atrium in commemoration of the San Antonio Public Library’s Centennial in 2003. It’s beautiful. There is art all over the library. 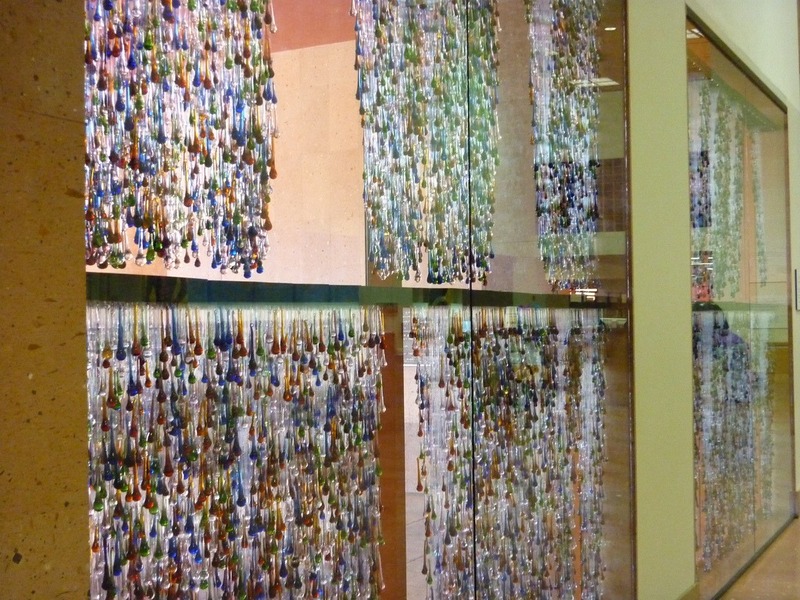 You may want to look for Days, by Jesse Amado (by the entrance), a tribute to artist and philanthropist Linda Pace. Each of the 22,722 crystal represents a day in her too-short life. 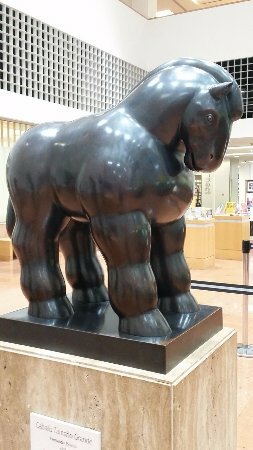 Caballo Tamaño Grande is by beloved Mexican artist Fernando Botero. 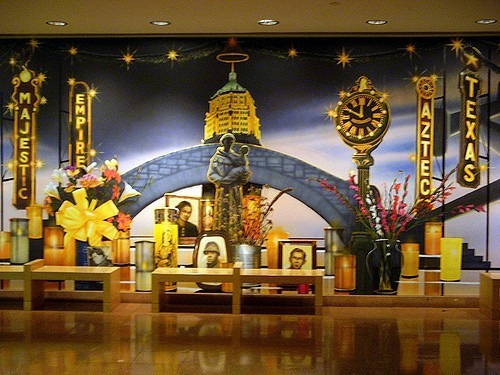 The Mural by Jesse Treviño, celebrating San Antonio during the WWII era. The current exhibit in the Library’s art gallery is “On a Personal Note…” Ricarda Redeker, a Houston-based artist who works as the German Consul General, takes a stylistic approach to travel photography with series exploring Germany, White Sands, Ghost Forests and Water & Fire. Oh yes — there are books. The library houses about 600,000 books and other documents and has room for 150,000 more. And if you want to buy used books, visit the Book Cellar in the Library’s basement, open Sunday–Saturday 11:00 a.m.–3:00 p.m. and Thursdays 11:00 a.m.–7:00 p.m. Operated by the Friends of the Library they offer thousands of used books, some de-accessioned from the shelves and some donated by the public. Most hardbacks $1.00 or less. Children’s books 25¢ to 50¢. Records and paperbacks 25¢ to 50¢.